$158.411 million on 4366 screens. Going into the summer of 2008, movie fans debated what flick would become the season’s biggest hit. Iron Man? Indiana Jones and the Kingdom of the Crystal Skull? WALL-E? Nope, nope and nope. Batman returned and mopped the floor with all of them. Its $529 million gross meant it surpassed Iron Man’s number two spot by more than $200 million! No flick had dominated the box office like that since 1997’s Titanic ruled the waves. And as was the case when the James Cameron epic soared, The Dark Knight deserved its success. In Batman Begins, we saw Batman (Christian Bale) deliver a blow to organized crime in Gotham. However, he couldn’t completely kill the mob, and they continue to thrive under different management. A new figure enters the picture via the Joker (Heath Ledger), a bizarre figure who merrily steals the mobsters’ money and defies them at every turn. While the heads of organized crime deal with threats from crusading new Gotham DA Harvey Dent (Aaron Eckhart), the Joker tells them that their real problem is the Batman. With him on the case, they’ll never be able to rest. He offers to kill Batman for half of all their money. Initially they laugh off this proposal, but it becomes clear they don’t have many other options and agree to the deal. This sets the Joker on a chaotic path to undermine everything in Gotham’s social order and eventually expose Batman. Some relationship issues arise as well. Dent dates assistant DA – and Bruce Wayne’s longtime friend/potential paramour – Rachel Dawes (Maggie Gyllenhaal). She had previously indicated that she’d wait for Bruce to move past his fixation with vigilante justice, but with Dent on the scene, that window looks to close soon. The situation sets up a romantic triangle that adds to various tensions as Bruce/Batman has to deal with the terror the Joker inflicts on Gotham. Expectations are a bear. As I’ve whined in the past, when I see a movie I really look forward to viewing, I almost always leave with some sense of disappointment. Oh, I may enjoy the flick in its own right, but it becomes tough to match up with the super-inflated expectations that accompany much-anticipated films. Films like The Dark Knight. I really liked Batman Begins and Knight came from virtually the same cast and crew, so it stood to reason I’d enjoy it as well. In addition, my least favorite aspects of Begins came from Batman’s “origin story”. Since the sequel would dispense with that side of things, it seemed likely the flick could more fully satisfy in terms of its own story and action. Perversely, that made me nervous and led me to worry that I wouldn’t like Knight because I’d expect so much greatness from it. Add to that many positive advance reviews and I figured there was a low chance I’d walk out of the theater happy. Perhaps my fears actually lowered my expectations – or maybe Knight is simply a great film. I don’t know, but when I walked out of the theater after my initial screening, I left on a high I’d not received at a movie for quite some time. It was the feeling that I’d seen something remarkable, the kind of theatrical experience that comes along very infrequently. The kind I’d not felt at all in 2008, as a matter of fact. I had high hopes for Iron Man and Indiana Jones and the Kingdom of the Crystal Skull that they didn’t match. Oh, I enjoyed both those films, but compared to Knight they seemed lightweight. Neither lived up to the hype, whereas Knight surpassed expectations. Almost everything about Knight succeeds, though I won’t claim it’s perfect. For one, the story is a bit of a mess. I think my synopsis makes it sound clearer than it is, but the truth is that it took me three viewings of the film to pare down the tale to its core. Essentially the whole organized crime side of the plot is a bit of a MacGuffin; those elements serve to spark some action, but they’re essentially meaningless in the greater scheme. The film really concerns itself with the Joker’s attempts to wreak havoc on Gotham and bring Batman down to his level; all other issues become secondary. Don’t expect to figure that out during your first screening, though. Knight zips through the plot elements at a quick enough pace and pounds us with enough action that the story/script flaws don’t become a real concern, but they’re there. Really, it shouldn’t take three viewings to figure out such a basic tale. Knight succeeds on such a powerful, visceral level that I can easily forgive its storytelling concerns. Ledger’s work received much attention, and not just due to his tragic death half a year before the film hit the screens; rumblings of a great performance grew well before his demise. That circumstance can make it tough to objectively examine Ledger’s turn here, but I really do think he soared. Given the character’s 60-year existence and general audience familiarity, I’d think it’d be tough to truly re-invent the Joker, but that’s what Ledger does. His Joker bears a connection with those that came before him but doesn’t emulate them. This isn’t the merry psychopath executed by Jack Nicholson; Ledger’s Joker is an altogether scarier, more twisted piece of work. And one who terrifies us even more because we don’t understand how he came to us. Prior Jokers – Nicholson’s included – appeared with origin stories in tow, so we were able to see what brought them to their criminal insanity. In this case, we have no idea how Ledger’s Joker evolved. Early in the film, he tells us an apparent origin tale, but since he later offers another totally different version of his roots, it’s clear that neither is true. That means we have no idea who the Joker is or what created him, and he becomes even scarier due to his randomness. When I first saw Knight, I got the impression that many viewers didn’t quite accept the Joker for the vicious piece of work he is; they expected the jolly nutbag and not a terrorist/anarchist. I thought a lot of the laughter at the Joker's exploits was inappropriate, and I believe much of it stemmed from preconceived notions. Everyone thinks the Joker's supposed to be a laugh riot ala the Nicholson performance, but I don't believe the Ledger Joker is intended to be 1/10th as funny. I heard a lot of laughs at scenes that I really don't think were supposed to be especially amusing beyond a limited sense of dark humor. It reminded me of the first time I saw 48 Hours in 1982. Since this was an Eddie Murphy movie, people expected a big comedy. It's not - it's an action flick with comedic elements. However, so many people were so convinced it'd be a hoot, they'd laugh at scenes that weren't remotely funny, like graphic, cold-blooded murders. The Joker here is a more complex case because he's got some humorous elements, but I still think people laughed more than they would have if they didn't go in with particular expectations. Ledger's Joker was a grim character, not a comedic one. Eckhart’s Dent is also a complex case. I thought that this film would just set up the character for future reference, like the Burton Batman did with Billy Dee Williams as Dent; though they never used Williams as Two-Face, it seemed logical that the flick put him into events for potential later use. I had no idea they'd transform Dent into Two-Face during Knight and use him as an active villain. His "origin story" was brilliant - both complex and emotional - and I felt the third act used Two-Face well. It made sense within the Joker's mission and the film's context. Some think he became one villain too many, but I don’t agree, especially since the first two acts set up the Dent character so well – something that never occurred in the prior Batman flicks. Most of the remaining main actors return from Begins, but one major exception occurs: Katie Holmes played Rachel in the earlier film. As I mentioned in that review, I thought Holmes’ lightweight performance was one of its main weaknesses, so I welcomed her replacement. And Gyllenhaal makes good on the hopes I felt when I heard Holmes wouldn’t return. Gyllenhaal brings an actual weight to the role wholly absent in Holmes’ performance. In Begins, Rachel seems like a petulant teenager, while here she's a force with which to be reckoned. I can buy Gyllenhaal's Rachel as a prosecutor; I never remotely accepted Holmes in that way. Some fans griped about Gyllenhaal’s looks; they felt that a billionaire stud like Wayne would demand a hotter babe. Yes, Holmes is prettier, but Gyllenhaal isn't dog meat. As for those who think it's irrational that Bruce and Harvey fall in love with a woman who's not a "10", ever think maybe - just maybe - her intelligence sways them? If Bruce just wants a babe, he can have that - and he clearly has had plenty of them, as the movie shows us. He honestly loves Rachel, which makes the movie's emotional thrust all the more compelling. Looks probably aren't that important to Bruce because of the "been there, done that" factor; he wants someone more substantial, and that’s what we get from Gyllenhaal’s performance. I could continue to rave about The Dark Knight but I’ll leave some things unsaid. Suffice it to say that it’s arguably both the best movie of 2008 and the greatest superhero flick ever made. I loved it so much I didn't want it to end, but my bladder felt differently. I held it until the end because I didn't want to miss anything, but it was a close call. That's my biggest complaint about the flick: no built-in bathroom breaks! It's so relentless that it gives you no chance to step out for a minute. This is a powerful, emotional and downright thrilling flick. The Dark Knight appears in an aspect ratio of approximately 2.40:1 - usually. The filmmakers shot about 20 percent of the movie with IMAX cameras, and that used a ratio around 1.33:1. For those scenes, the Blu-ray expands to 1.78:1; it’s not the full IMAX image, but it’s closer than 2.40:1. And the half-hour or so of IMAX shots looked spectacular. They excelled in virtually every way, as they showed great definition and vivacity. These sequences provided such stellar visuals that I wished the whole film had been shot that way. Though not as strong, the 2.40:1 scenes were good as well. Sharpness was usually fine. A little softness occasionally cropped up in wider shots, and some light edge haloes didn’t help. Still, the majority of the movie appeared crisp and detailed. No issues with jagged edges or moiré effects occurred, and I witnessed virtually no source flaws. I noticed one or two small specks but nothing more. Colors worked well. The movie showed some stylized hues but usually went with a natural – though subdued – palette that appeared appropriately rendered. Blacks were usually dark and deep, though some exceptions occurred. For instance, the final sequence with Two-Face came across as a little muddy, and shadow detail – which mostly seemed fine – was less than stellar. Nonetheless, the majority of the dark scenes offered solid visuals. All of this left the film as a “B+” transfer. I found no reason whatsoever to complain about the stellar Dolby TrueHD 5.1 soundtrack of The Dark Knight. From the opening bank heist to the concluding drama, the movie displayed an active, powerful mix. It worked the various speakers well, as each channel offered lots of unique audio. The whole package blended together smoothly to present a wild ride through Gotham. Audio quality supported matters well. Speech was consistently natural and concise. Actually, that side of things may’ve sounded better at home than in the theaters; Batman’s bass-heavy dialogue didn’t seem as over the top in this mix. Music was quite full and dynamic, as the score showed great clarity and range. Effects were terrific. The movie boasted excellent fidelity and allowed the gunshots, explosions and other elements to shine. Low-end was absolutely top-notch, as the bass kicked the track to a higher gear. This was a simply fantastic soundtrack. 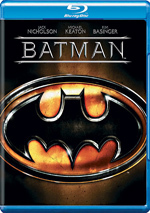 How did the picture and audio of this Blu-ray compare to those of the Dark Knight DVD? I thought the sound seemed pretty comparable, but the Blu-ray’s image blew away the DVD’s visuals. The latter was one of the biggest DVD disappointments of 2008; it looked ropy and tentative, so it totally failed to live up to the expectations that accompanied a brand-new, big budget super-hit. 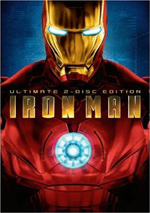 The Blu-ray improved on the DVD’s visuals in almost every way – and added the bonus of the broadened aspect ratio for the IMAX shots. There’s no comparison here; the Blu-ray trashed the picture quality of the DVD. The Blu-ray features the same extras as the DVD but adds a few more. I’ll note Blu-ray exclusives with special blue type. On Disc One, we find 18 Focus Points. You can watch these as the film runs, individually, or as one long running program. If you take the last approach, they fill a total of one hour, four minutes and ten seconds; they range in length from 39 seconds (“Mob Car Flip”) to eight minutes, 48 seconds (“The Prologue”). The “Focus Points” feature behind the scenes elements and interviews. We hear from co-writer/producer/director Christopher Nolan, director of photography Wally Pfister, IMAX consultant David Keighley, producers Charles Roven, Emma Thomas and Kevin De La Noy, stunt coordinator Paul Jennings, editor Lee Smith, “A” camera operator/steadicam operator Bob Gorelick, “A” camera first assistant Bob Hall, special effects coordinator Chris Corbould, composers Hans Zimmer and James Newton Howard, sound designer Richard King, costume designer Lindy Hemming, costume FX supervisor Graham Churchyard, production designer Nathan Crowley, stunt performer Buster Reeves, visual effects supervisor Nick Davis, first assistant editor John Lee, stunt performer George Cottle, special effects prep supervisor Ian Lowe, and actor Christian Bale. The “Points” look at cinematography and the use of IMAX cameras for the film’s prologue, stunts and effects, music and audio, costumes, vehicles and props, and editing. That’s a whole lot of technical material, but I don’t mind, as we learn quite a few cool facts about that side of things. The “Points” never feature shots of the participants, so we always see movie shots or – usually – behind the scenes bits. These flesh out the material well and make this a good collection of clips. Over on Disc Two, we start with two programs under “Behind the Story”. Batman Tech lasts 45 minutes, 59 seconds and includes remarks from Nolan, Bale, Roven, Thomas, Hemming, Churchyard, Corbould, The Science of Superheroes co-author Lois H. Gresh, former DC Comics senior editor/writer Len Wein, Motor Trend Magazine editor-at-large Arthur St. Antoine, DC Comics senior VP/executive editor Dan DiDio, UC Irvine professor of physics Michael Dennin, CIA Museum curator Toni Hiley, DC Comics publisher/president Paul Levitz, Ceradyne Inc. founder/CEO Joel Moskowitz, Chapman University professor of biological sciences Frank Frisch, base jumper Shane McConkey, LA Times motorcycle journalist Laura Carpenter, and Atlas Devices co-founder/CTO Nathan Ball. “Tech” looks at the scientific facts behind the various vehicles, costumes and gadgets featured in the film. It examines the evolution of the comic book Batman’s arsenal and then discusses the feasibility of the movie character’s equipment. The program moves at a peppy pace and tends toward a glossy approach, but that doesn’t make it insubstantial. It throws out a lot of interesting facts about the technology involved in the movie, so it’s a fun addition to the package. Batman Unmasked: The Psychology of the Dark Knight goes for 46 minutes, two seconds and features Bale, Levitz, Roven, Nolan, O’Neil, DiDio, Wein, Thomas, The Psychology of Superheroes editor Robin S. Rosenberg, Wisdom from the Batcave author Rabbi Cary A. Friedman, Columbia University Chairman of Psychiatry Jeffrey Lieberman, UCLA professor of social psychology Benjamin R. Karney, Forensic Consultation Associates’ Dr. Robert TM Phillips, and Superman on the Couch author Danny Fingeroth. 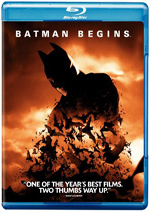 The program views Batman among other vigilantes and digs into Bruce Wayne’s psyche to discuss why he does what he does. It also looks at some of Batman’s villains. The show tends to ramble somewhat, so it doesn’t provide the tightest view of its subject. Nonetheless, it’s certainly more ambitious than the usual bonus feature, and it includes intriguing insights. Two components appear under “Extras”. Gotham Tonight lets us see “cable news programs” related to the film. All together, these six episodes run a total of 46 minutes, 41 seconds. We see news specials that cover Harvey Dent’s election, biographies of Bruce Wayne and Jim Gordon, crime in Gotham, and an interview with Dent. Dark Knight featured a terrific Internet ad campaign that set up viewers for various parts of the movie’s story and characters. The “Gotham Tonight” segments were part of that, and they’re quite fun to see. They include appearances by a number of the movie’s actors, and they do set up film elements quite well. Indeed, it’s probably a good idea to watch them before you first see the flick, as they help fill out the different aspects of the tale. In a clever move, they literally end with the movie’s opening; the last report shows the Joker’s heist as breaking news. The “Gotham Tonight” pieces are the best supplement in this package. Two subsections appear under The Galleries. We find “Joker Cards” (72 images), “Concept Art” (58), “Poster Art” (12) and “Production Stills” (88). I like all of these, but I think the posters are the most interesting. The movie boasted some great ad designs, so it’s good to see them here. 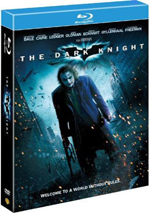 In addition to three Dark Knight trailers and five TV spots, the set includes a Digital Copy of Dark Knight. It seems like every DVD provides this option these days; it allows you to easily transfer the flick to a portable gizmo or your computer. Fans need to put The Dark Knight on the short list of the best superhero movies ever made. Heck, I could argue it’s the best of its genre, as the film provides a thoroughly dramatic and exciting experience that dazzles from start to finish. The Blu-ray boasts very good visuals, excellent audio and a generally good roster of supplements. Given the movie’s success, the latter don’t satisfy as well as I’d like, but they’re still consistently interesting. The Dark Knight Blu-ray definitely earns a rousing endorsement from me, and that goes for folks who already own the DVD. The Blu-ray includes a much better set of extras and provides radically improved picture quality. This is a must-own set.